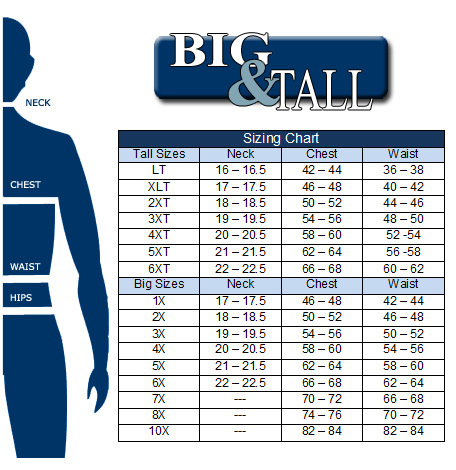 London's Big and Tall men's clothing store guarantees complete satisfaction on all of your orders. If you are not happy with your big and tall purchase and want to exchange or return a product, please contact London's Big and Tall men's clothing store TOLL FREE at 1-800-290-5862. Please send all product(s) back to us via Canada Post and we will credit your account for the value of the merchandise that is returned. Returns and exchanges must be sent within 30 days of purchase. No return or exchange on all sale and clearance items. Shipping on return big and tall items will be at your expense. Goods must be in resellable new condition. Pet hair, odor (smoke etc), washed product or removal of manufacture tags will void any return. A 25% restocking fee may apply in certain circumstances. PLEASE NOTE: Underwear, Bathing suits, and socks are FINAL sale. On-sale items are Final Sale and will be shipped back to you automatically. Items and prices on the webstore are for online purchases only. Our physical retail store may/may not have all of the items listed in our webstore. Furthermore, item prices may differ in the online webstore and the offline physical store location. Online prices will not be honoured in store. All big and tall products are shipped Canada Post Expedite – a trackable service – from our London, Ontario retail store. Flat fee $19.50 (as of December 10, 2008) plus HST on orders less than $295 (taxes excluded). FREE SHIPPING on orders of $295 or more (before taxes). Some remote addresses (air or special transit) are excluded from the above Big and Tall shipping rates – those customers will be contacted before any transaction takes place. Products shipped to the U.S.A will be charged $29.50 (CAD) plus applicable taxes. Some remote addresses (air or special transit) are excluded from the above shipping rates – London's Big and Tall clothing store will contact these customers before any transaction takes place. Please note: the 3-7 day shipping estimate time cannot be guaranteed for U.S. and International orders due to unforeseen waits at customs clearance. For more information, please contact Big & Tall London's Menswear directly. All other countries will be charged $75 (CAD) plus applicable taxes. Shipping times may be different for international customers. Some remote addresses (air or special transit) are excluded from the above shipping rates – London's Big and Tall clothing store will contact these customers before any transaction takes place. Duty or Vat in ship to country is the responsibility of the receiver.